As winter seems to be well on the way, you may have found that waking up in the morning is a bit more difficult than it used to be. 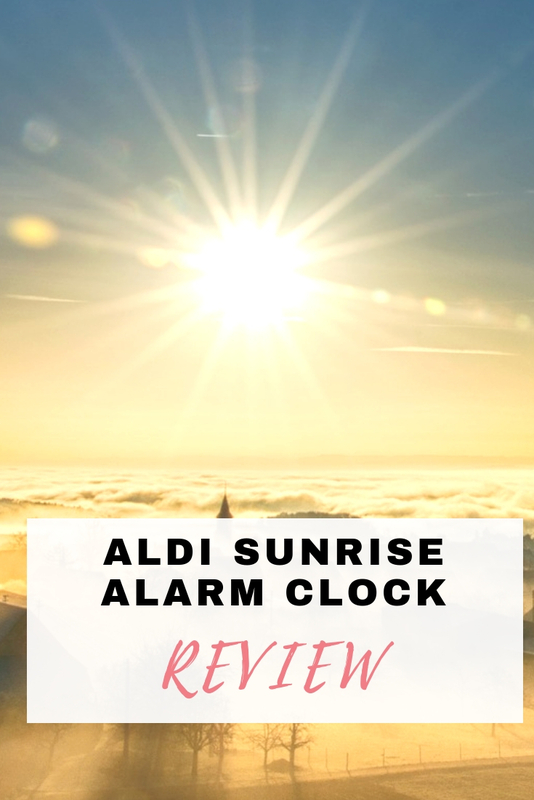 With that in mind, I thought it would be a great idea to review Aldi's sunrise alarm clock. 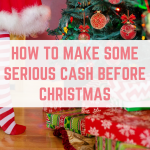 It retails for £24.99 and is in store until stocks last. A sunrise alarm clock is exactly as it sounds – it simulates a sunrise, which helps you to wake up in the mornings despite the darkness outside. 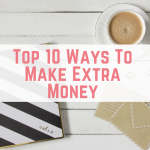 This simple little trick helps you to feel awake and rejuvenated, ready to get your day started. After sales support with a freephone number. Time and date in 12 or 24 hour format. 10 different alarm tones, including nature sounds and radio. Choices of normal light, night light or mood light to wake up to. Can double as a lamp, including mood lights. I wasn't planning on buying a new sunrise alarm clock, but we had a £5 off when you spend £40 coupon (thanks to The Mirror) and whilst my previous sunrise alarm clock was perfectly functional, it was on the large size. I was drawn in to the smaller size of Aldi's sunrise alarm clock. But was it worth it? It is affordable! 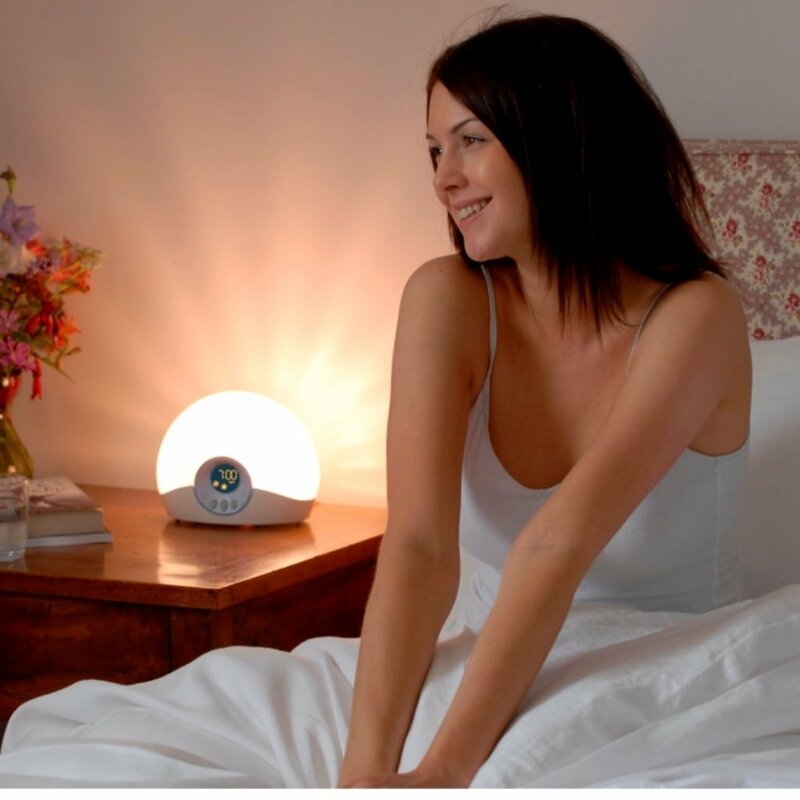 Priced at just £24.99, this is half the price of Amazon's number 1 best seller, the Lumie Bodyclock. 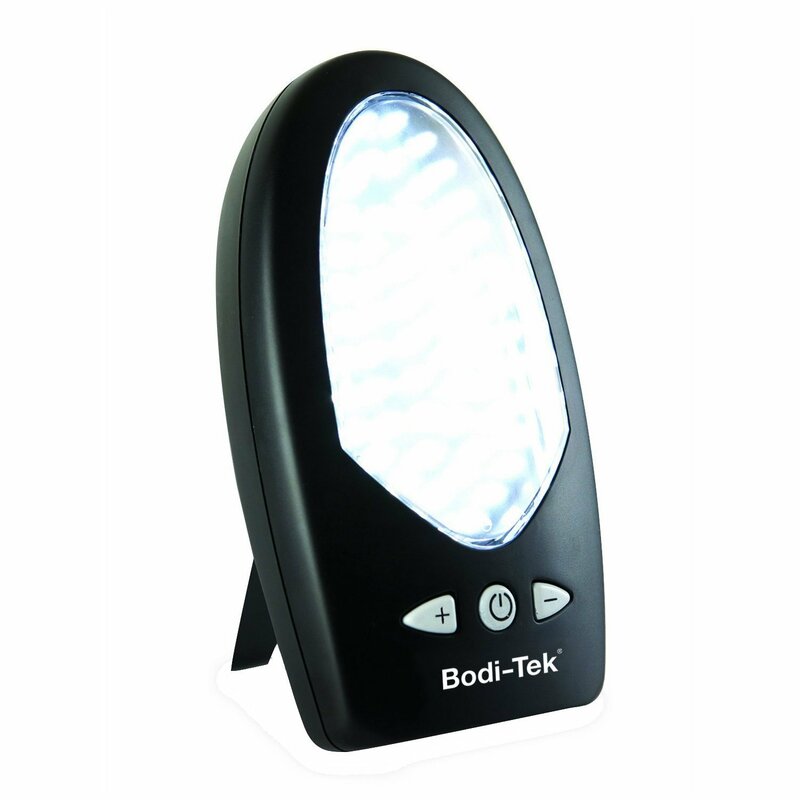 You can set the light to come on at different times before your alarm sounds – great for waking up gradually. The ten different alarm tones, including the radio, offer a great selection of alarm sounds to wake up to. Setting it up takes awhile, as does changing any aspect of your alarm, such as the time or sound. The sunrise isn't gradual – I have mine set to come on 30 minutes before the alarm goes off, but the sudden increase in brightness often wakes me up before my alarm. If you wake up before the alarm sound goes off and turn the alarm off, the alarm will still sound at alarm time. As you can see, I don't have many good things to say about this alarm clock. In fact, I would advise you to stay away from this alarm clock. The “sunrise” isn't the right hue and feels very artificial, plus I have managed to completely sleep through the light and alarm sound on three occasions. 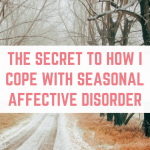 I really struggle with Seasonal Affective Disorder (SAD) throughout winter, so it is important try whatever I can to help me wake up in the mornings and keep myself happy. The Lumie Bodyclock Starter is a great sunrise alarm clock, and I much prefer it to Aldi's version. Despite the price tag, it produces a much more natural light and helps me to wake up during winter. Alongside a sunrise alarm clock, I also use a Daylight Therapy Lamp for at least 30 minutes a day. For a much cheaper solution costing you under £6, you could switch out a room's light bulb for a daylight light bulb – use this in a room where you spend a lot of time with the light on and you will soon notice the effects.